The online ‘Anti-Profiteering Community’ on LocalCircles founded by the National Anti-Profiteering Authority has for the past few months, been brimming with complaints against various companies who have been indulging in GST profiteering. According to the consumers, the Government has been reducing GST on various products, but instead of passing the benefits on to the consumers, majority of the companies seem to have not reduced the prices and passed the GST rate reductions to the consumers. LocalCircles conducted a 3 point consumer pulse check to ascertain the magnitude of the problem. The survey received more than 24,000 votes from over 15,000+ consumers. 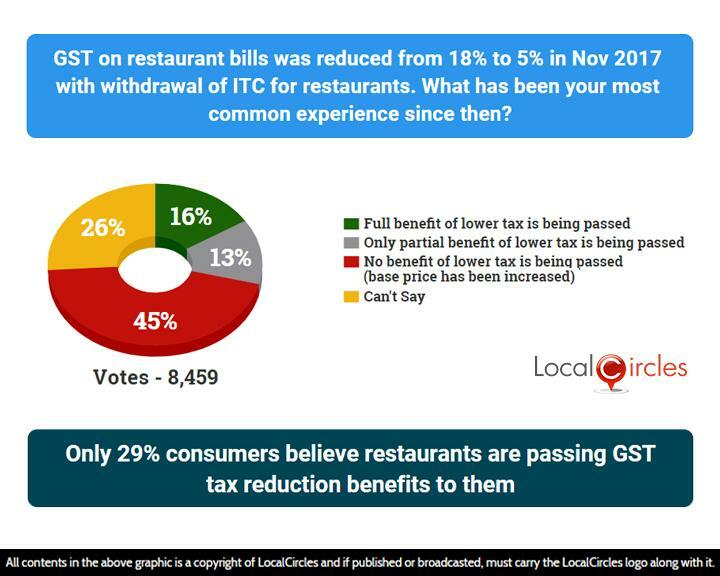 GST on restaurant bills was reduced from 18% to 5% in Nov 2017 with the withdrawal of Input Tax Credit for restaurants. 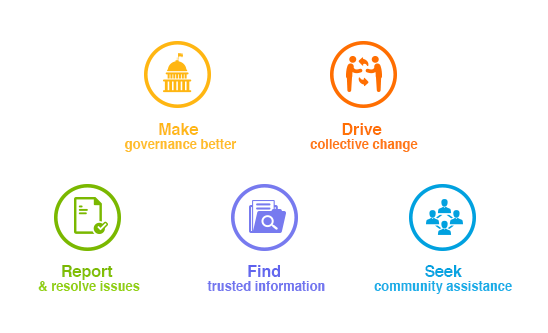 Citizens were asked what their most common experience has been since then. 45% said that no benefit of the lower benefit is being passed on as the base prices has been increased. 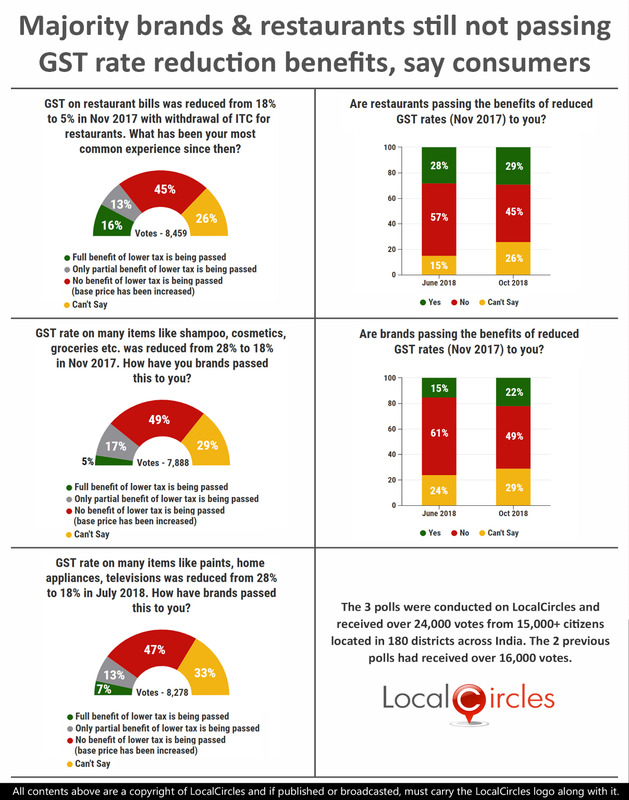 16% said restaurants are passing full benefits of the lower tax to the consumers while 13% said only partial benefit is being passed on. 26% were unsure. 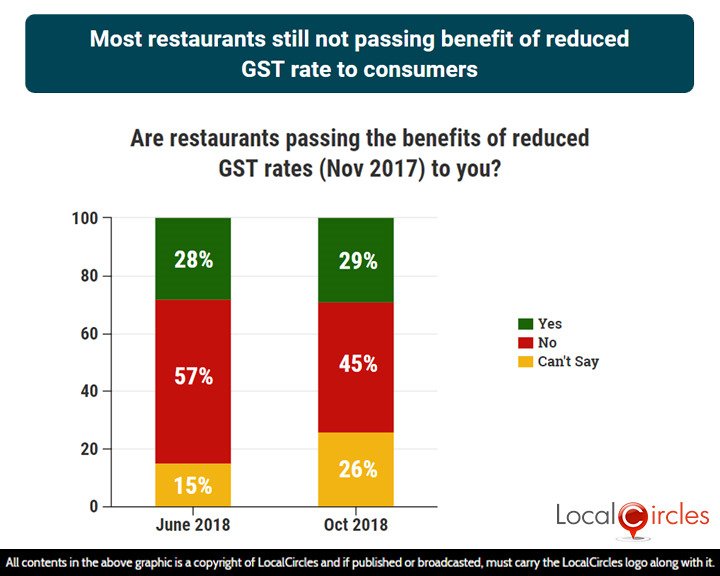 The above indicates that the number of consumers saying that the restaurants are passing benefits of reduced GST is not expanding and those who Can’t Say has grown from 15% to 26% highlighting an increase in the indifference towards the bill raised by the restaurant. GST rate on many items like shampoo, cosmetics, groceries etc. was reduced from 28% to 18% in Nov 2017. Consumers were asked if the brands had passed it on to them. 49% said no benefits were being passed as the base price of products has been increased and 5% said full benefits were being passed on. 17% said only partial benefit of the lower tax is being passed on while 29% were unsure about it. GST rates on items like paints, home appliances, televisions etc. was also reduced from 28% to 18%. 47% consumers still say that none of these benefits are being passed on to the them as the companies have increased the base price of the product. 7% said full benefits of lower tax are being passed on to the consumer while 13% say only partial benefits are being passed on. 33% were unsure. Given that people are shopping for these items during the festive season, many are complaining that MRPs currently are no different than those in July 2018. Many complaints have been received in the Anti-Profiteering circle on LocalCircles where consumers have named many companies with invoices or pictures of the product MRP tag from before and after the GST rate revision. Once a complaint is received in the community, it goes to DG Anti-Profiteering for action and the whole process from complaint to order can take up to 9 months. The National Anti-Profiteering Authority is monitoring all consumer inputs very closely so most brands do this pro-actively rather than post an order is issued against them. 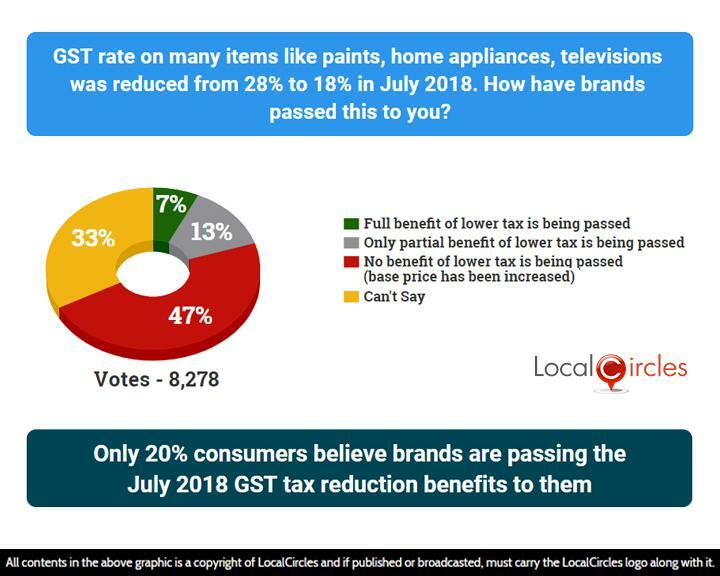 LocalCircles has also written to 25+ GST commissioners that cover manufacturing of most of the products that were included in the Nov 17 and July 18 rate reductions, requesting them to communicate to businesses in their areas about passing the GST benefits to consumers via revising MRPs.